Parution du Policy Brief « The Clean Energy Package: Are its objectives always consistent? 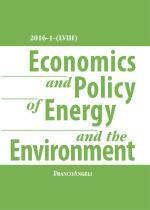 » par Anna Creti, Jacques Percebois et Boris Solier dans la revue « Economics and Policy of Energy and the Environment ». On 30 November 2016, the European Commission published a proposal for a reform of energy markets titled « Clean Energy for all Europeans », better known as the « Winter Pack-age ». Its aim is to speed up the integration of electricity markets in Europe and to further encourage the use of renewables and the pursuit of energy efficiency, while at the same time placing European consumers at the heart of this project.